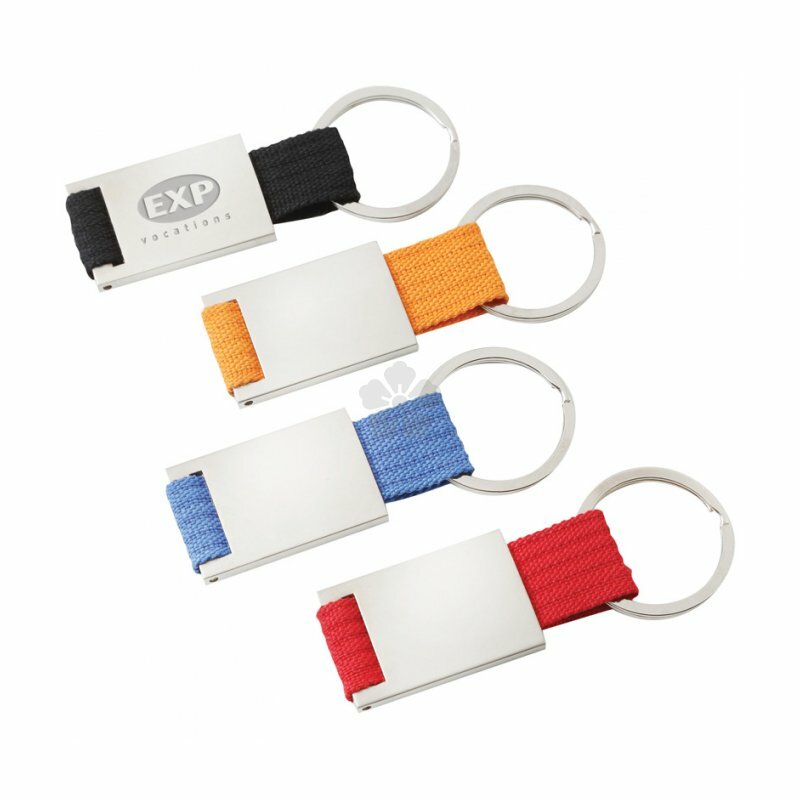 A cost effective yet premium giveaway, our custom branded Kinder Keyring is a metal keyring with matt silver finish to the body. Attached to split ring by coloured nylon strap for a unique look and feel. Available in 4 colour choice for the strap. Laser engraved with your design to the metal body for a premium finish and excellent branding longevity. 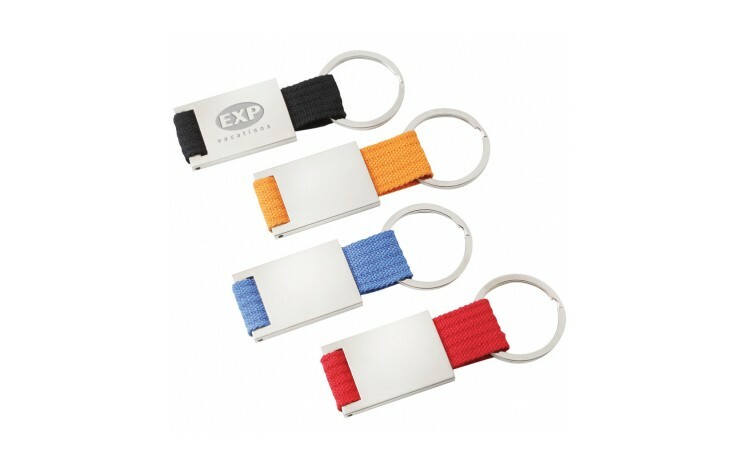 Supplied individually gift boxed as standard, which makes for an excellent giveaway item. Laser engraved with your design. Range of strap colours available.